This amazing early spring weather is perfect for exterior refreshing! 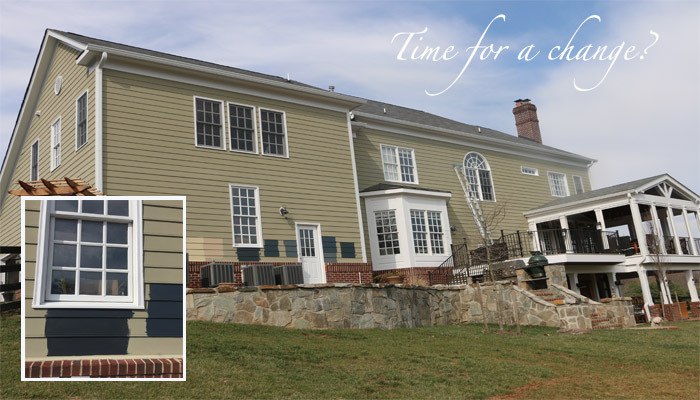 Whether your home is 5 or 100 years old, creating that dream feel to your family’s home is an on going After 12 years, it’s time to give this 12 year old classic Virginia family home a fresh new look. In order to achieve the high quality, long lasting results our clients expect, we begin by repairing all the wood rot winter left behind, fix damage gutters and loose shingles, and power wash all surfaces. The next part’s a little trickier. 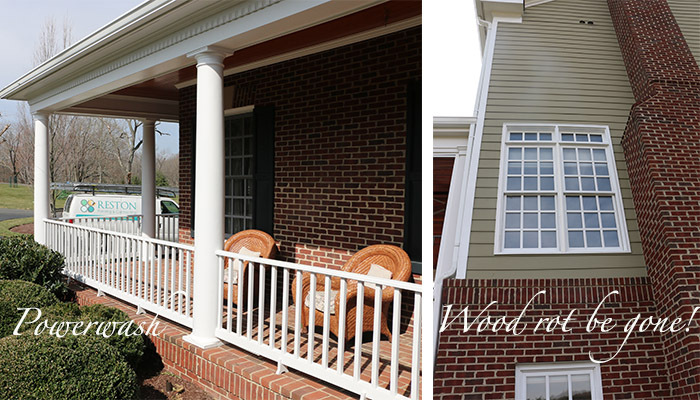 Picking paint and stain colors can be tough. We use magazines, Pinterest, Houzz and lots of color samples help us identify the perfect combination that will thrill our clients for years and years. In this case, our client found their ‪#‎housegoals‬(as the kids would say) picture on Pinterest. We matched the color and suggest a few others to help us zero in on a color that matches their vision for their home. Stay tuned.